Rich, full-length draperies can certainly add drama and elegance to a room. But sometimes you need a clean, streamlined look at the window, especially if space is limited. Roman shades are a classic staple in décor, and are known for the soft, modern polish they bring to any room. 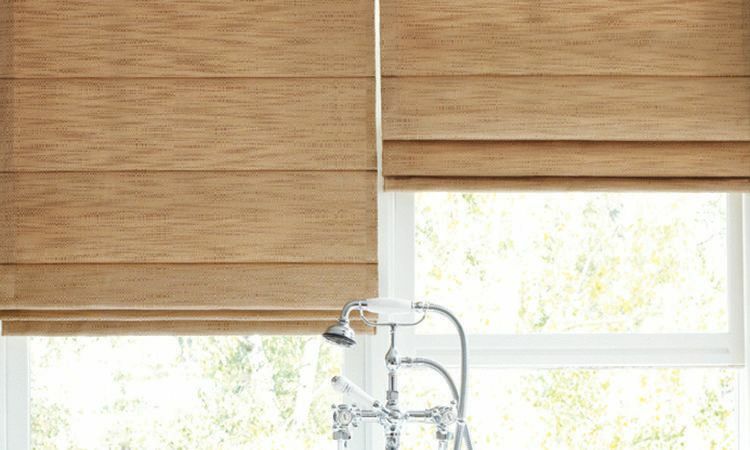 In their basic form, Roman shades are simply fabric window coverings that can be raised or lowered with the help of a cord system and rings sewn on the back of the fabric. When raised, the fabric stacks evenly in horizontal folds. 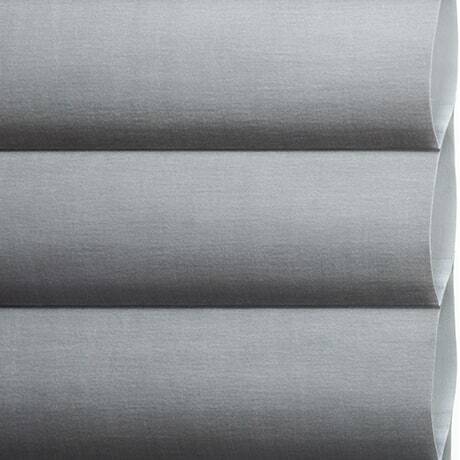 Vignette® Modern Roman Shades take the Roman shade concept to the next level of style and tailoring. 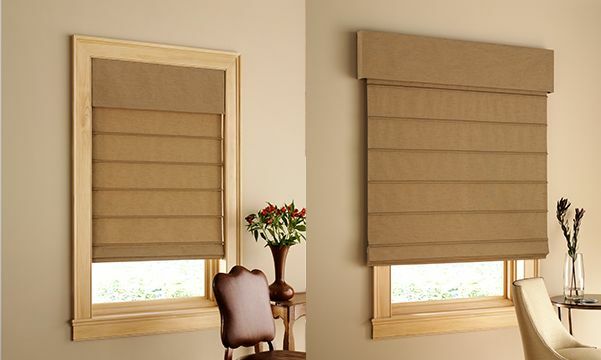 These modern Roman shades are available in both rolling and stacking options. 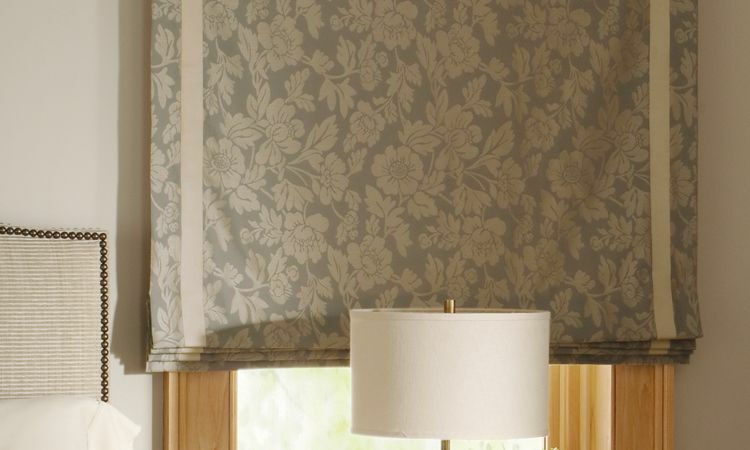 The rolling style is the only Roman shade on the market without internal lift cords, and the fabric shade rolls completely into the headrail for unobstructed views. The stacking style has no exposed cords for enhanced safety in homes with children and pets. The result with either style is an impeccably clean, uncluttered Roman shade with an equally clean, uncluttered back. 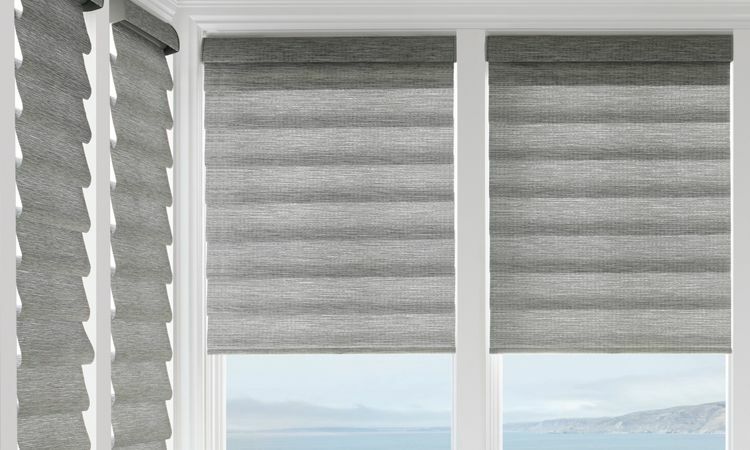 The gorgeous fabric choices in Vignette Modern Roman Shades are extensive and made from 100% polyester for durability and easy cleaning. 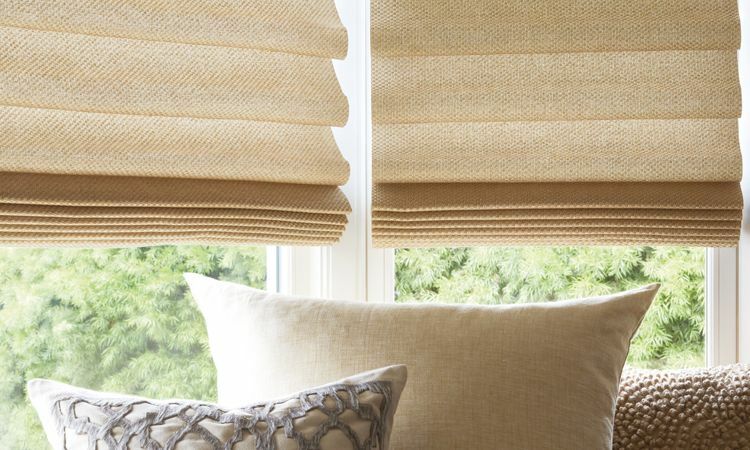 For exclusive fabric choices, Alustra® Vignette Modern Roman Shades are worth looking at. The rich textures, precision tailoring and shimmering details give a look of artistry to the humble Roman shade. Choices like Villa, a dimensional organic texture with a basket weave appearance, offer such eye-catching interest that you may be tempted to leave them lowered at all times to showcase the beauty of the fabric. And for light control like never before, Vignette Modern Roman Shades take a brand-new approach with their Duolite® option. 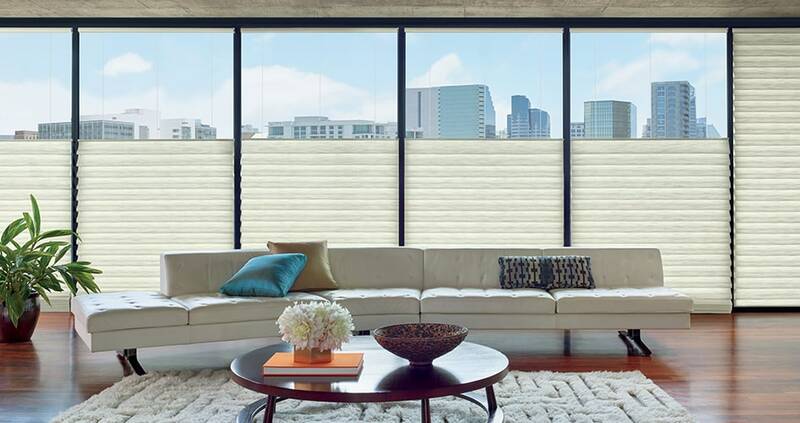 A flat-fold light-filtering or sheer front shade and a room-darkening panel occupy one roller—seamless and simple. Once the front shade is fully lowered, the back liner can be lowered to achieve your desired level of light control and privacy. 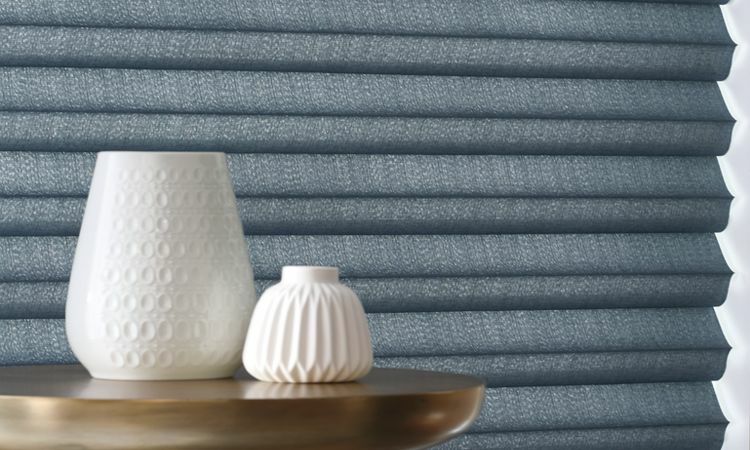 For superior energy efficiency, Solera® Soft Shades combine the soft, sculpted folds of a Roman shade with the insulating design of a cellular shade. The soft folds form pockets that add an extra layer of insulation at the window, saving you energy costs. But you don't have to sacrifice fashion for function. 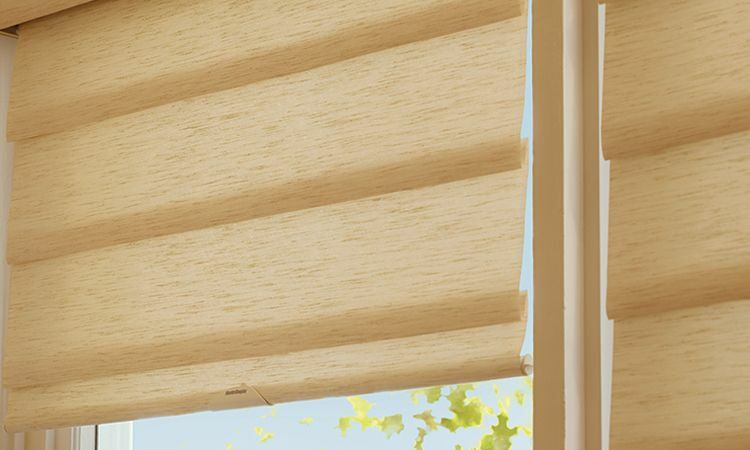 Solera shades come in a wide variety of luxurious woven and non-woven colors, textures and patterns in both light-filtering and room-darkening fabrics. 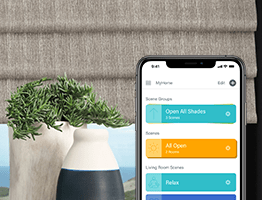 If modern isn't for you, there are a multitude of other choices in fabric Roman shades that help you define your style, add convenience, and control light and privacy in better ways. Take Design Studio™ Roman Shades, available in a wide variety of timeless fabrics like cotton, silk and linen. They come in four different styles—flat, hobble, batten front, batten back—to give you slightly different looks in how the shade appears. And an optional lining on the back hides lift strings and, of course, adds another layer to control light and increase insulation. Each shade is made specifically for the measurements of your window with close attention to detail and quality. What's more, a sophisticated selection of tapes and trims elevates this classic shade to a customized masterpiece. 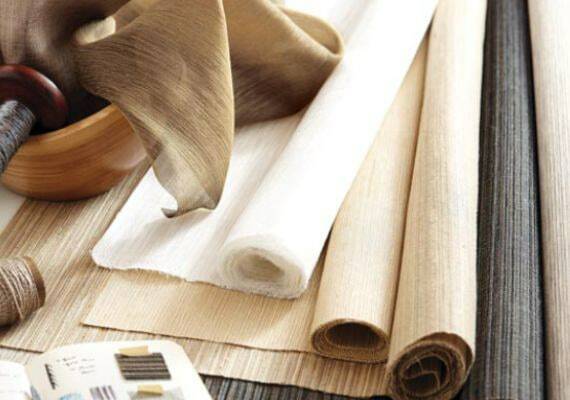 All the fabrics, tapes and trims are available by the yard as well, so you can create decorative accents for your rooms. The placement of your Roman shade depends on several elements. If your home has gorgeous moldings, you may opt to mount your shade on the inside of the window frame and still keep the architectural details on view. Or, if your home is fairly modern and the moldings are rather simple, mount the shades on the outside of the window. 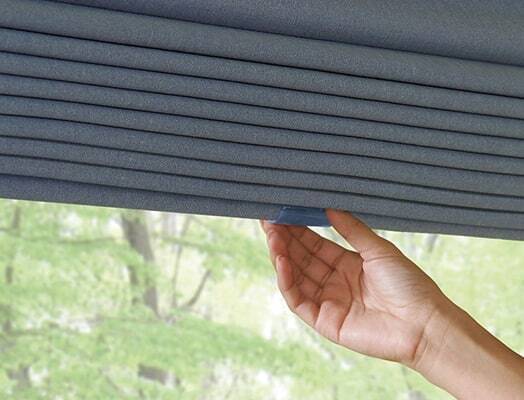 This option also provides more light blockage and privacy as the shade is slightly wider than the window. You may even choose to mount the top of the shade several inches above the top of the window frame to add more height to your room. Today's Roman shades are leaps and bounds ahead of the original window covering. 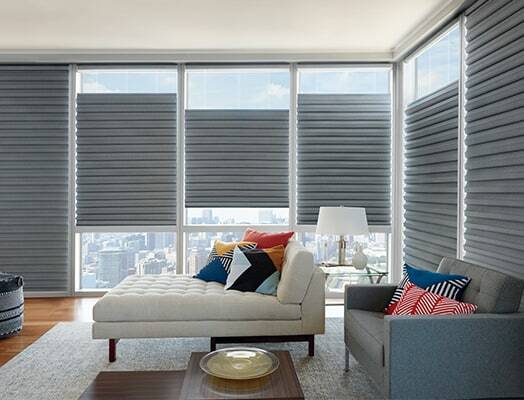 The sheer variety of fabrics and opacities means this versatile shade offers something for everyone. And with innovations in liners and operating systems, the clean, modern Roman shade has never looked better. 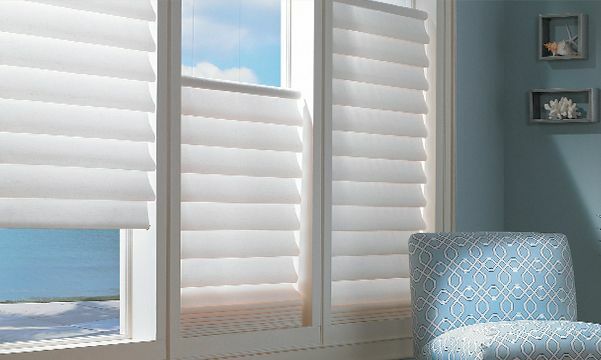 Featured here are soft, billowy, contoured folds with a modern twist from Vignette® Modern Roman Shades. With no exposed, dangling or pooling lift cords, they are a good choice for enhanced child and pet safety at the window. These shades have a smooth, uniform backing so they look as beautifully finished from the outside of your home as they do from within. Perfect for shallow windows, sidelights or French doors, the Vignette Stacking Style stacks neatly at the bottom when raised or lowered. 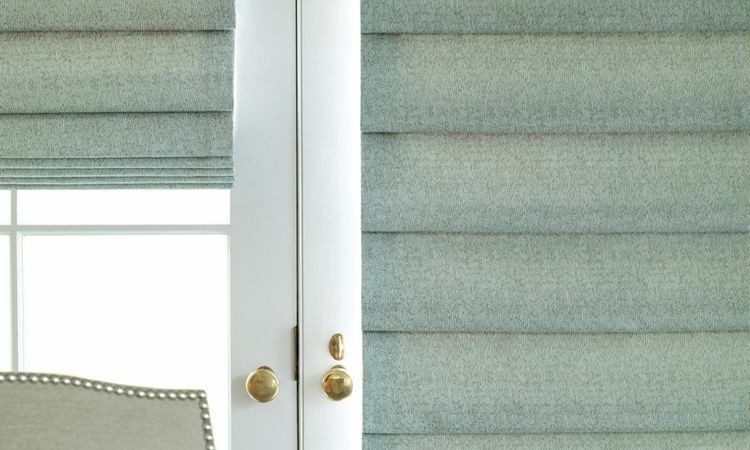 The flat, crisp, contemporary fold available with Vignette Modern Roman Shades features a streamlined look for more casual or contemporary settings and comes with the same enhanced safety and outside-backing characteristics as the Vignette Rolling Style 4” full fold style. 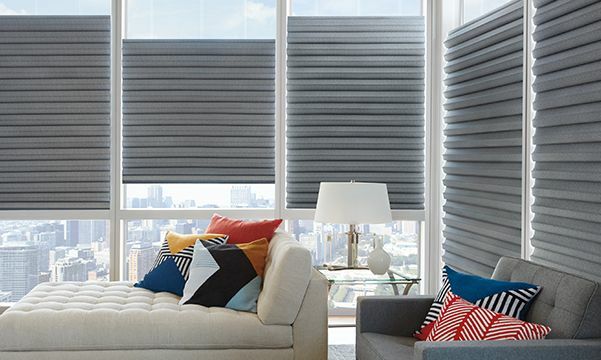 Exclusive to Hunter Douglas, Solera® Soft Shades are a Roman shade style that combines a soft sculpted look with a unique cellular construction to provide increased energy efficiency. Shown here on our Design Studio™ Roman Shades, battens, or tunnels, are sewn at regular intervals on the face side of the shade. This style is especially well-suited for stripes and patterns since the battens on the front won’t interfere with the pattern. 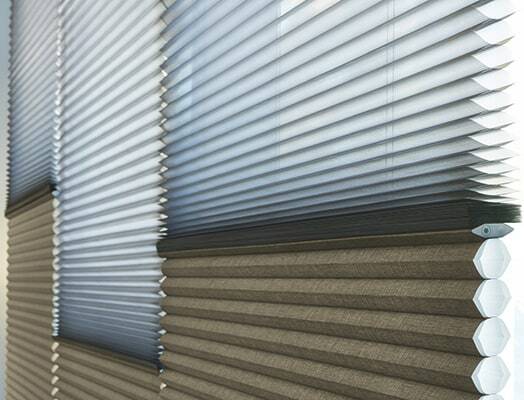 Also available on our Design Studio window treatments, these battens are inverted, creating a soft, tailored look when lowered and defined folds when raised. This style looks best in solids or subtle patterns and textures. 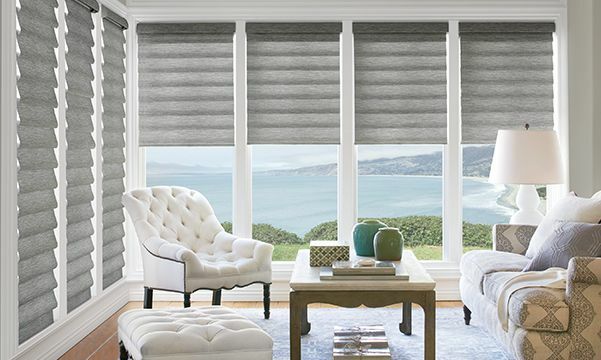 Design Studio is also available with hobble shades, a traditional Roman shade style defined by soft fabric folds that cascade from top to bottom. 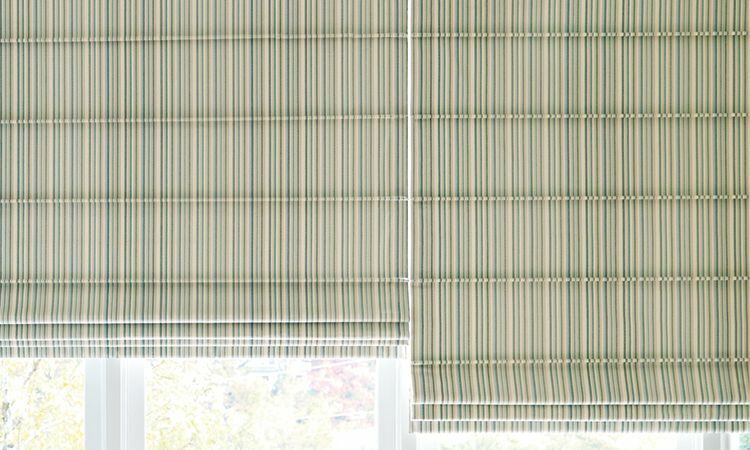 Ideal for showing off the large-scale, bold patterns and stripes of our Design Studio shades, the flat fold has no horizontal seams or stitching across the face of the fabric creating a clean, smooth, finished look. 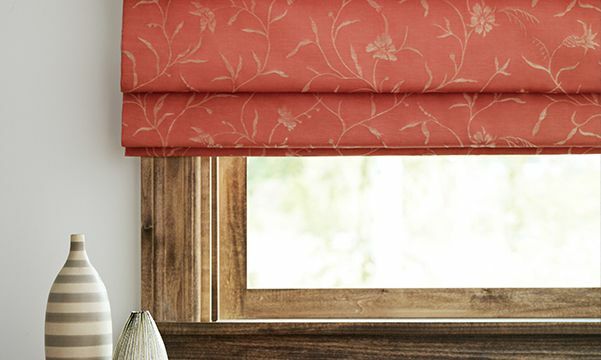 For even more Roman shade style decorating tips read Decorating Tips With Roman Shades by Cynthia T. Toney with Demand Media.